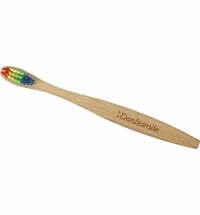 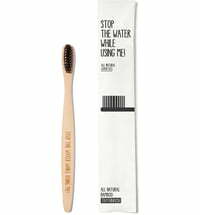 The children's toothbrush is a perfect alternative to conventional plastic toothbrushes. 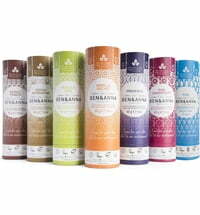 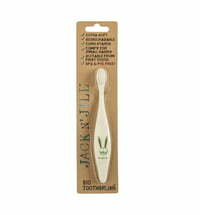 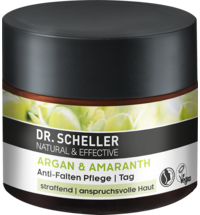 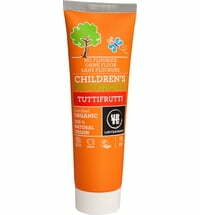 It thoroughly cleans teeth and gums, and is vegan, 96% biodegradable and produced on a fair basis. 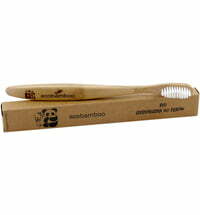 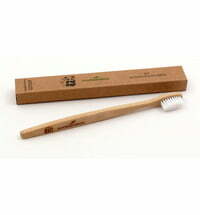 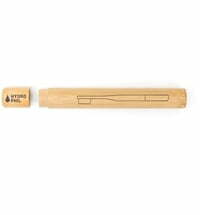 The handle is made from rapidly renewable bamboo. 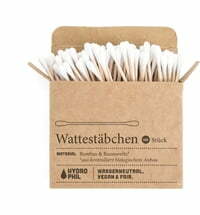 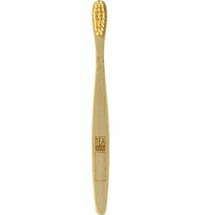 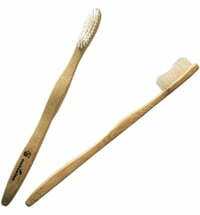 The bristles are composed of BPA-free nylon. 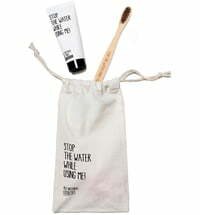 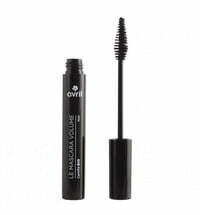 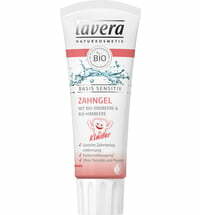 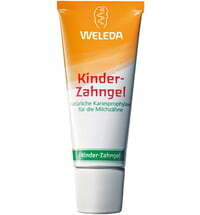 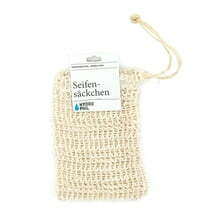 In general, the product is made using a water-conserving method. 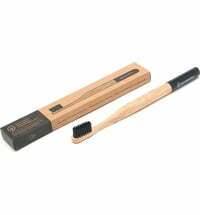 Always let the toothbrush dry thoroughly and replace every 2- 3 months. 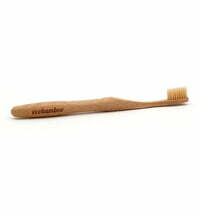 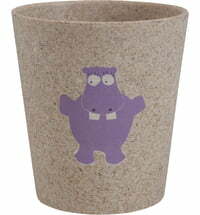 The handle can be disposed of as organic waste whereas the head of the toothbrush should be disposed of as residual waste.